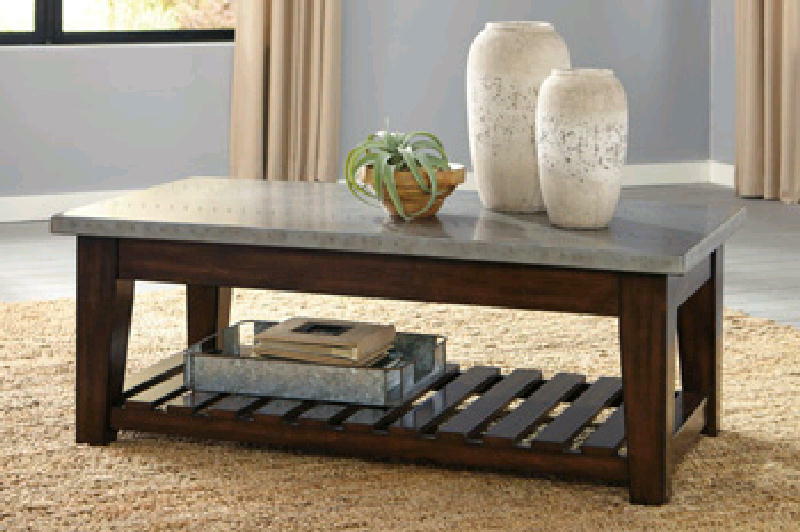 Bynderman lift top coffee table proliferates effortless style. Rich brown wood brings a high-quality aspect to your living space. Small rivet detailing gives a designer edge to the faux metal top. Bulky legs support the bottom slatted shelf. Lift top puts function in form, letting you store away small items.